Standard First Aid and CPR – This is one of the most popular and comprehensive courses offered by the big 4 providers. Candidates have the option of selecting either CPR level “A”, “C” or health care provider CPR “HCP” to partner with this course. Candidates will also receive training an certification in the use of automated external defibrillators (AED). This is a 16 to 18 hour course that is usually completed within two days. Course content covers a variety of different first aid emergencies. It costs anywhere from 107 dollars to 185 dollars. Re-certification courses are available for standard first aid and CPR. Upon completion candidates will receive a standard first aid, CPR and AED certificate. 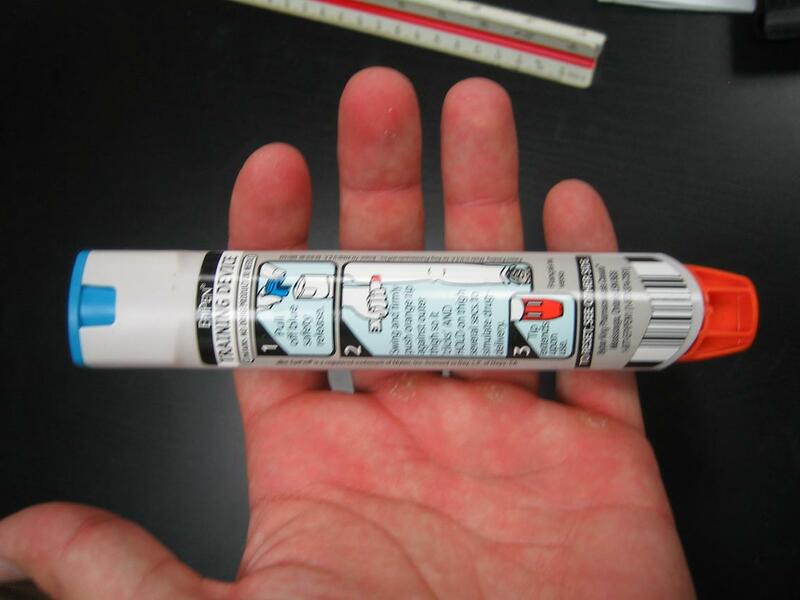 Learn to manage emergencies such as anaphylaxis (allergic reactions) with the use of epinephrine injectors by taking workplace approved first aid certification programs. Emergency First Aid and CPR – This is the most basic first aid and CPR course offered through the major providers. This course comes standard with CPR level “A”, however, some providers allow candidates to opt for CPR level “B” or “C”, usually at an additional cost. Candidates will receive training and certification in the use of AED’s. This is a 8 hour course that is usually completed within one day. The cost of the course varies by provider but costs anywhere from 75 to 125 dollars. When candidates successfully complete the course they will receive a emergency first aid, CPR and AED certificate. Re-certifications are available for this course in some provinces in Canada. Child Care First Aid and CPR – This course is offered exclusively through St Mark James. It is a 8 to 10 hour intensive course for people wanting to work in the child care industry. CPR “B” is the only option of CPR for this course. AED training and certification is included. Course fee is anywhere from 75 to 130 dollars. Re-certifications are not available for this course. Marine First Aid – This is a 16 hour course that is very similar to standard first aid. Candidates will receive CPR level “C” and AED training in this course. Course fee is anywhere from 125 to 190 dollars depending on provider and region. Re-certifications are not available for this course. How to provide CPR for victims of varying ages via the International Liaison Committee on Resuscitation (read more about them here) standards. Learn how to be prepared for any emergencies and recognizing and care for victims of at least 20 different conditions by enrolling in workplace approved training programs with our providers. Get a head start in your training by watching this video on anaphlyaxis and how it occurs.